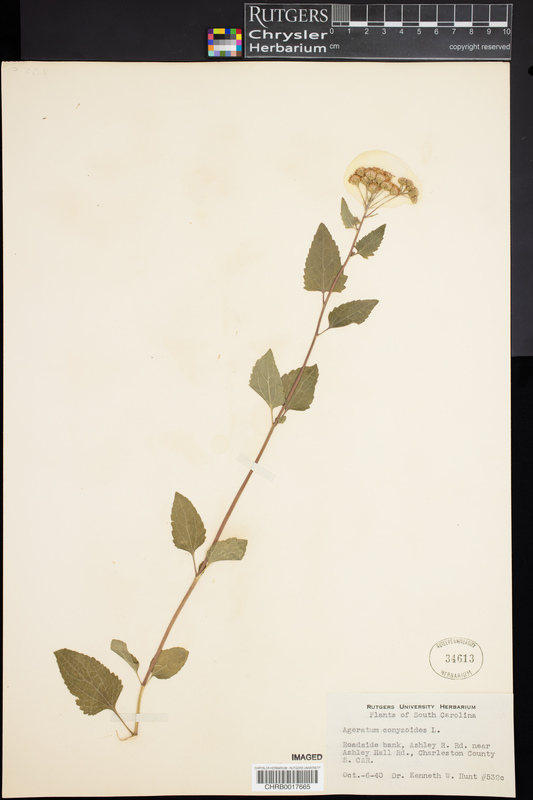 Taxon: Ageratum conyzoides Sieber ex Steud. Locality: United States, South Carolina, Charleston, Ashley R. Rd. near Ashley Hall Rd.